2018 marked the bicentenary of the death of Humphry Repton, one of the most important and prolific of English landscape designers. Repton made a particularly significant contribution to the landscape of Hertfordshire, working at no less than eighteen places in the county, ranging in size from great mansions like Cashiobury and Panshanger to more modest 'villas' owned by wealthy businessmen and industrialists, such as Wood Hill in Essendon. 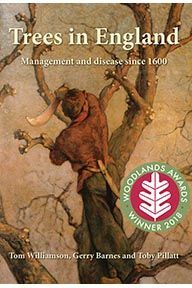 This book – the fruits of many years of research by members of the Hertfordshire Gardens Trust Research Group – describes in detail all of these commissions, assessing in each case the extent to which Repton's ideas were actually implemented and how much survives of them on the ground today. Particular attention is given to those places for which Repton prepared one of his famous 'Red Books', such as Tewin Water, Lamer House, New Barnes and Wall Hall. 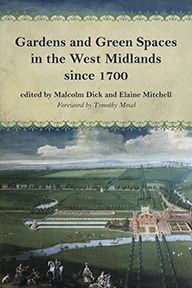 But sites where Repton's contribution is less well documented are also discussed, including Organ Hall and Hilfield House in Aldenham, Cashiobury Park and The Grove in Watford, Brookmans Park, Bedwell Park, Wyddial Hall, and Marchmont House in Hemel Hempstead. In all cases, the book presents complete transcriptions of all the key documents relating to Repton's activities, including the full text of seven Red Books. 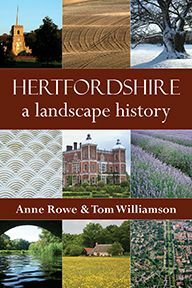 The introductory essay by Tom Williamson sets Repton's activities in Hertfordshire within the wider context of his career, and also shows how his work in the county can cast important new light on his style, and on its economic, aesthetic and ideological implications. 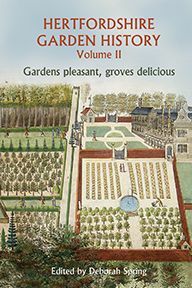 Profusely illustrated in colour with reproductions of all the Red Book watercolours, together with extracts from contemporary estate maps, sketches and other material, this scholarly yet readable volume will be of considerable interest to garden historians, landscape historians, and all those interested in Hertfordshire's rich historic heritage. Susan Flood was County Archivist for Hertfordshire before her retirement in 2013 and has co-edited several volumes for the Hertfordshire Record Society.